Our easy-to-use under platform ladders are designed to save precious space on the swim platform. An extra bar/rung at the at the top of ladder rungs for platforms without grab rails on the swim platform. 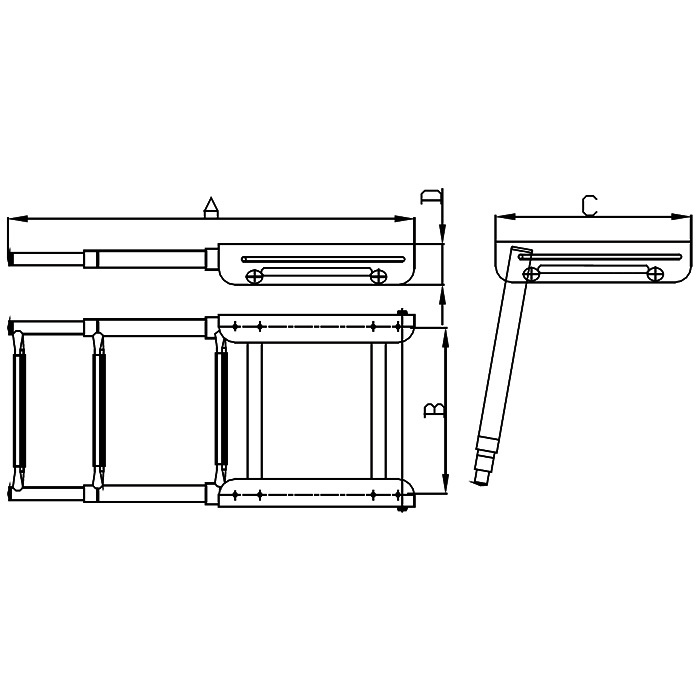 Telescoping ladders are available with; two, three, or four steps. 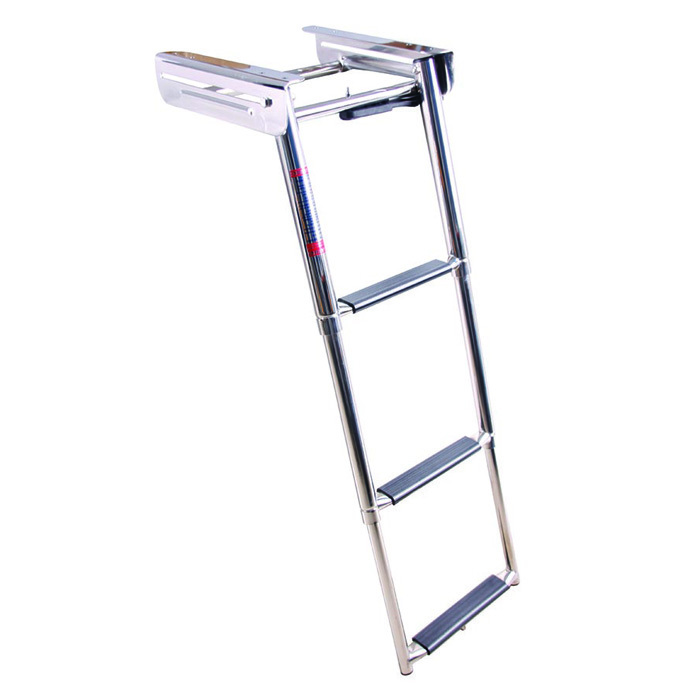 Ladder slides out and drops easily and quickly, providing convenient boarding. 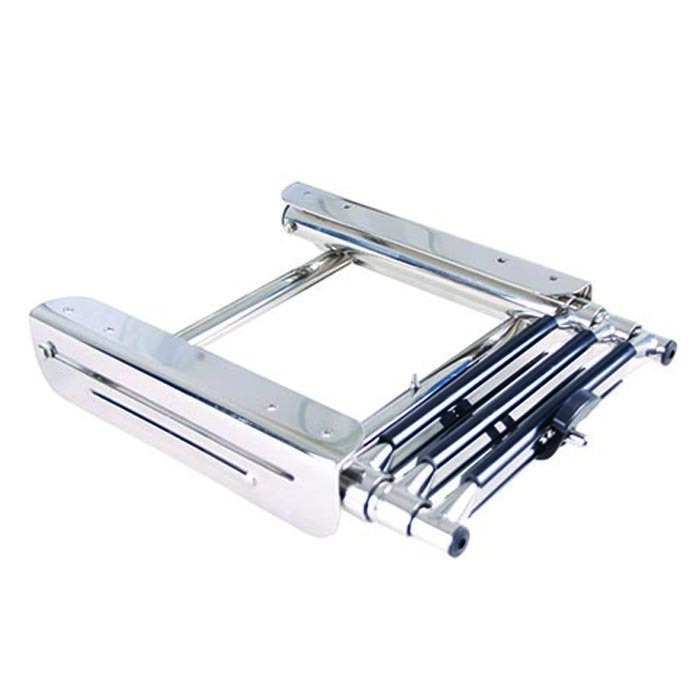 When finished the ladder easily retracts and slides into brackets under swim platform, ladder steps are secured with heavy-duty black rubber strap which secures steps from accidentally deploying while boat is in motion. Easily installed, hardware used 1/4″ FH not included.